The Volkswagen Jetta remains a best-selling car for a reason. Its engine expertly balances power and fuel economy, while its cabin perfectly pairs refined trimmings with utility-focused amenities. Don’t be fooled by this sedan’s classic exterior stylings – it’s here to shake up your drives for good. 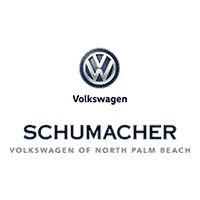 No matter where you’re headed in North Palm Beach, Florida, you’re sure to get there with efficiency and flair in this sedan. *View IIHS at www.iihs.org. **View NHTSA at www.nhtsa.gov. ***For more information, visit http://www.vincentric.com/Home/Best-Value-Awards/2014-Best-Value-in-America/2014-Best-CPO-Value-in-America-Awards/2014-Best-CPO-Value-in-America-Winners-List/2014-CPO-Winner-Wagon. 2019 Volkswagen Jetta 1.4T S Platinum Gray Metallic CARFAX One-Owner. FWD 8-Speed Automatic with Tiptronic 1.4L TSI Storm Gray w/Cloth Seat Trim, ABS brakes, Electronic Stability Control, Illuminated entry, Low tire pressure warning, Remote keyless entry, Traction control. Odometer is 504 miles below market average! 30/40 City/Highway MPG Come Join the Family!! 2019 Volkswagen Jetta 1.4T S Habanero Orange Metallic CARFAX One-Owner. FWD 8-Speed Automatic with Tiptronic 1.4L TSI ABS brakes, Electronic Stability Control, Illuminated entry, Low tire pressure warning, Remote keyless entry, Traction control. 30/40 City/Highway MPG Come Join the Family!! 2019 Volkswagen Jetta 1.4T S Black Uni CARFAX One-Owner. FWD 8-Speed Automatic with Tiptronic 1.4L TSI Titan Black w/Cloth Seat Trim, ABS brakes, Electronic Stability Control, Illuminated entry, Low tire pressure warning, Remote keyless entry, Traction control. Odometer is 1845 miles below market average! 30/40 City/Highway MPG Come Join the Family!! 2019 Volkswagen Jetta SEL Tornado Red CARFAX One-Owner. Clean CARFAX. FWD 8-Speed Automatic with Tiptronic 1.4L TSI Titan Black w/Perforated V-Tex Leatherette Seat Trim. Odometer is 1461 miles below market average! 30/40 City/Highway MPG Come Join the Family! !